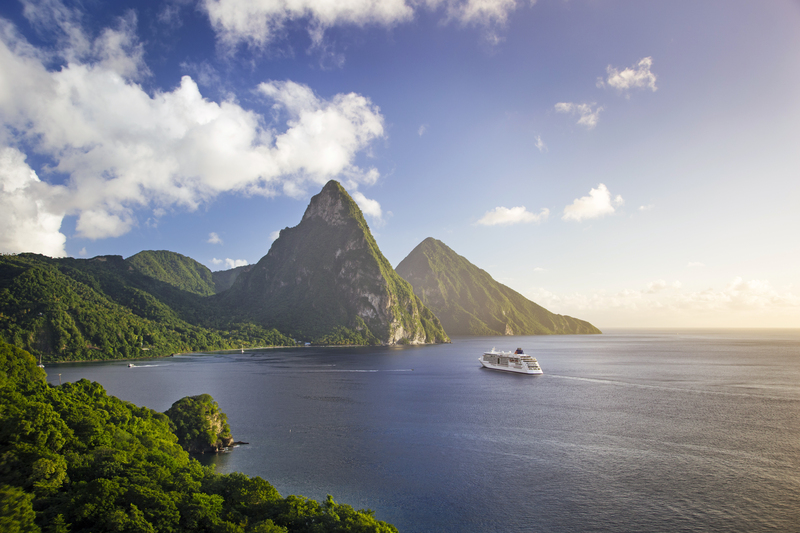 Arguably the most naturally beautiful and picturesque Island in the Caribbean, St Lucia is blessed with the stunning Piton Mountains, palm fringed-honey coloured beaches, translucent waters sheltering coral reefs, sulphur springs and lush rainforests. 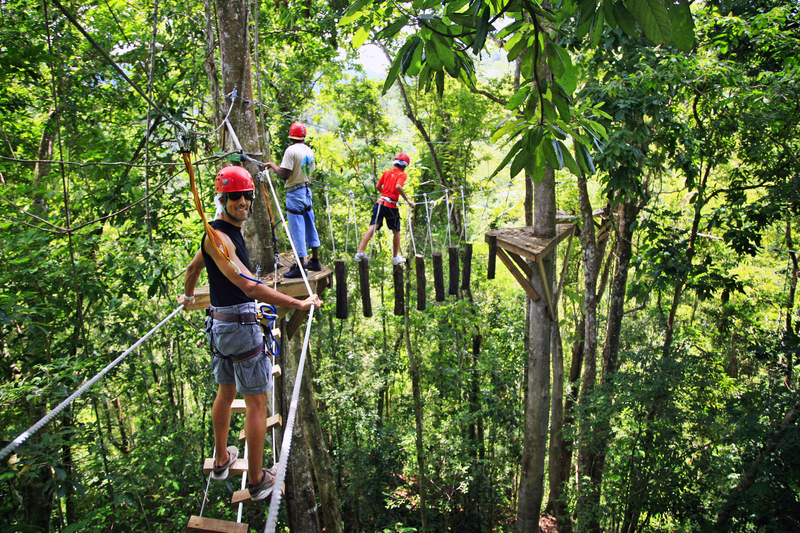 The island is the perfect venue for the final Test and a haven for the active and adventurous, whether its zip lining through the rainforest, whale watching, forest treks or hiking in the Mountains. 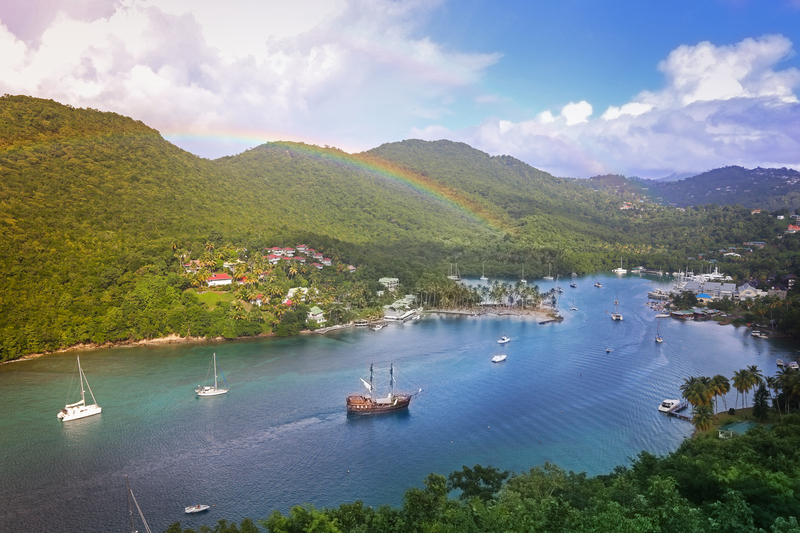 While it’s tempting to simply relax and soak up the sun, Saint Lucia’s offers a wealth of great sights and natural attractions that are sure to pull you away from the beach. * Prices are subject to change due to flight and hotel availability at the time of booking. Extra nights > Stay for as long as you like - extra night prices are shown under each hotel description. Flights > Premium Economy & Business Class flights on request - book early as seats will soon disappear. 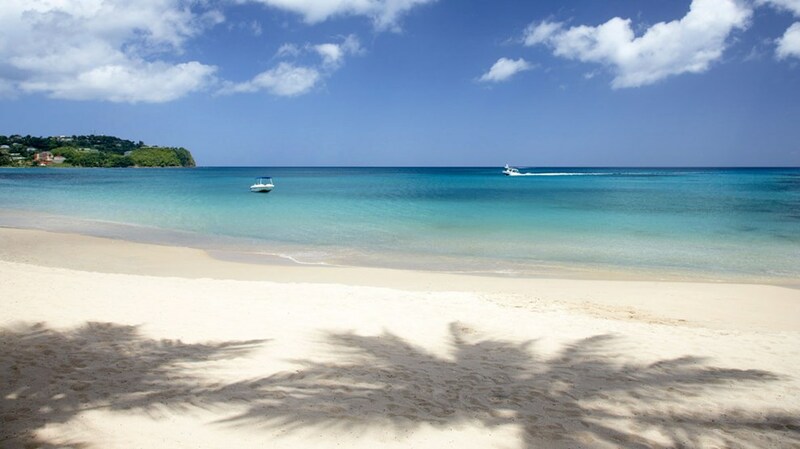 Arrive St Lucia, complete customs and immigration formalities, then proceed to the arrivals hall where you will be met and transferred to your hotel. Enjoy your first balmy, Caribbean evening. Enjoy a relaxing day as you acclimatise to your new surroundings. If you are feeling active, our local agent will happily help you with any optional tours you would like to book. Tonight you will be introduced to your tour host and fellow travellers at our ‘Welcome Drinks Reception’. Its time for the cricket! 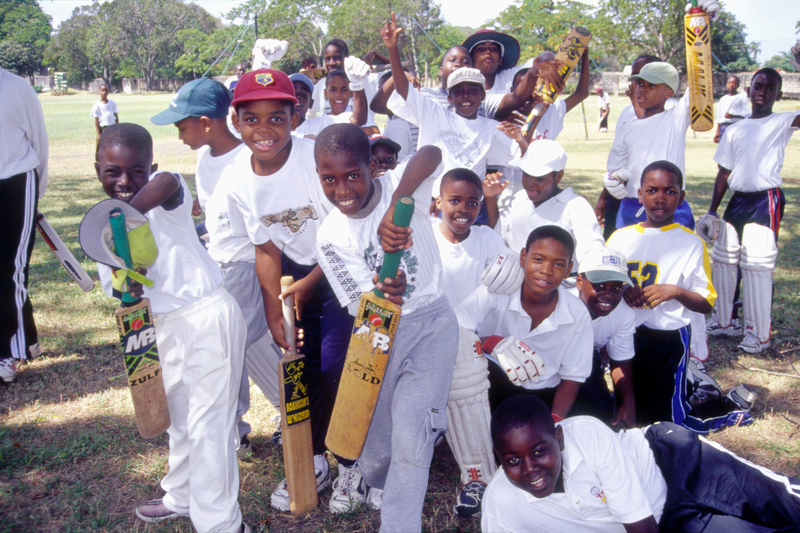 During the week you are invited to attend our popular Q&A Cricket Forum with your host. 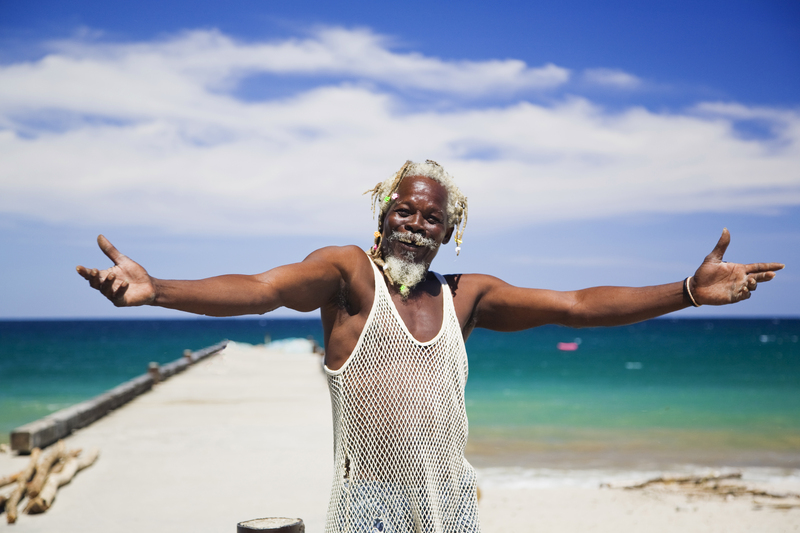 This volcanic, picture book island has beautiful weather, lush sandy beaches and a vibrant nightlife. Explore sheltered coves, hike volcanoes and discover the island’s rich history. It’s easy to get around by hire car or tour bus, so it is easy to create your own adventures and explore St Lucia at your own pace. 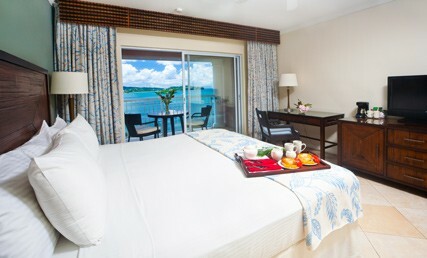 Enjoy a relaxing morning soaking up the warm Caribbean sun, before it's time to pack your bags and prepare to check-out. You will transferred to the International Airport in plenty of time to complete check-in formalities. Depart Saint Lucia early evening, arriving Gatwick the following morning. Travel insurance, pre-seating charges applied by airlines, items of a personal nature. All hotels featured in our hosted tour itineraries have been carefully selected to enhance your holiday experience. We have chosen some of our favourite Caribbean properties that have featured on previous tours to ensure your comfort and security. At the end of the day’s cricket or sightseeing, you’ll want to freshen up and relax in a hotel that makes you feel at home. That’s why we never skimp on quality and carefully select our hotels for their superior level of comfort and service, excellent amenities, friendly staff, convenience and safe location. On each island we will have a 'Host Hotel' (HH) which is where our celebrity cricket host will be based and where our welcome drinks and Q&A cricket forums will take place. If you choose to stay at one of the alternative hotels we are offering, you are invited to attend all Sporting Traveller functions and we will advise you of the best way to make your way to/from the the event venue. Please ensure you read our hotel descriptions in conjunction with other tourist information for the areas you will be visiting. 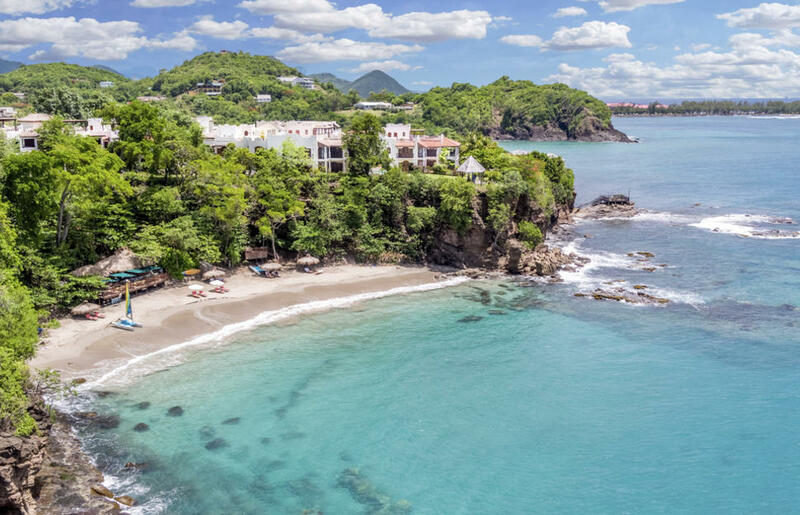 This elegant All Inclusive resort is located on the west coast of St Lucia, approximately three miles away from the island's capital, Castries and roughly 25 miles from the international airport, Hewanorra. 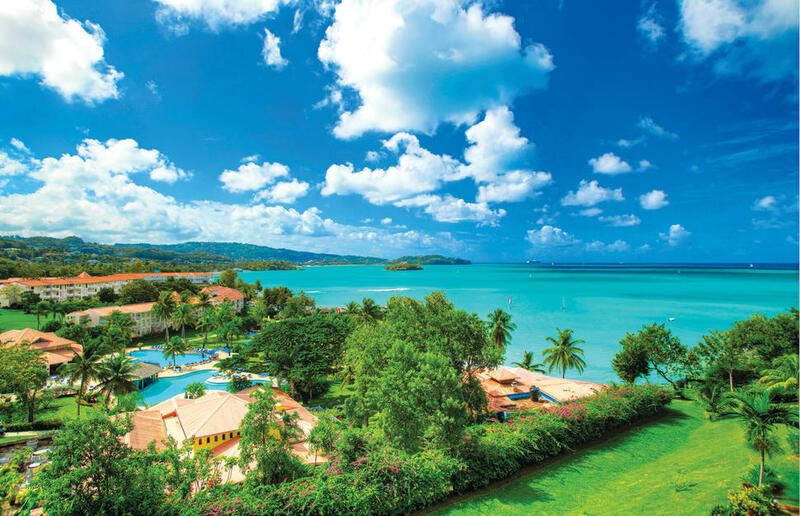 At 25 acres, this is a large resort and fairly hilly, however it is easy to get around and you can always hop on a golf buggy if you are feeling lazy! 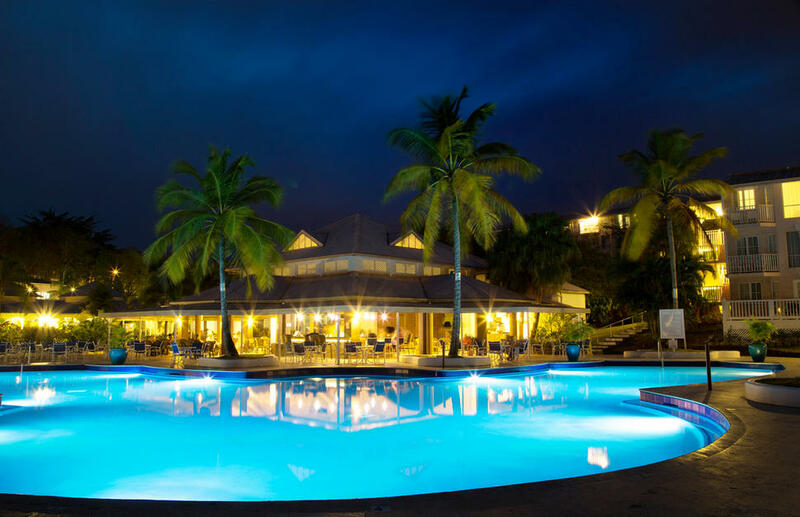 St James’s Club Morgan Bay is a popular, fun-filled beachfront resort with a fantastic choice of restaurants, activities and superb inclusions. 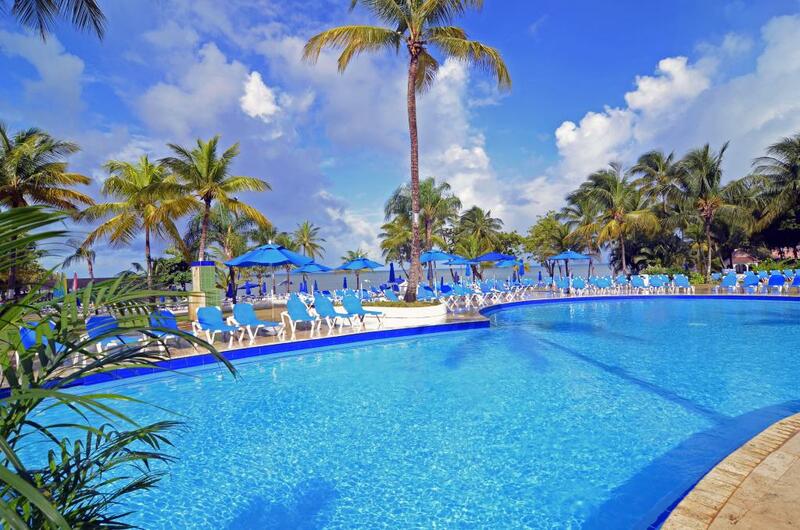 The emphasis here is on choice and there really is something for everyone, whether you long to bask in the sun and work your way through the cocktail list, or you prefer watersports and the chance to brush up on your tennis skills. The resort has six restaurants and one cafe. They offer an excellent range of exotic cuisine, including a choice of French-Creole flavours or Caribbean and Asian-fusion dishes. There is also a restaurant featuring Continental specialities and a fresh seafood restaurant. The hotel's five bars all serve named brand drinks, cocktails and soft drinks as part of the premium all-inclusive programme. 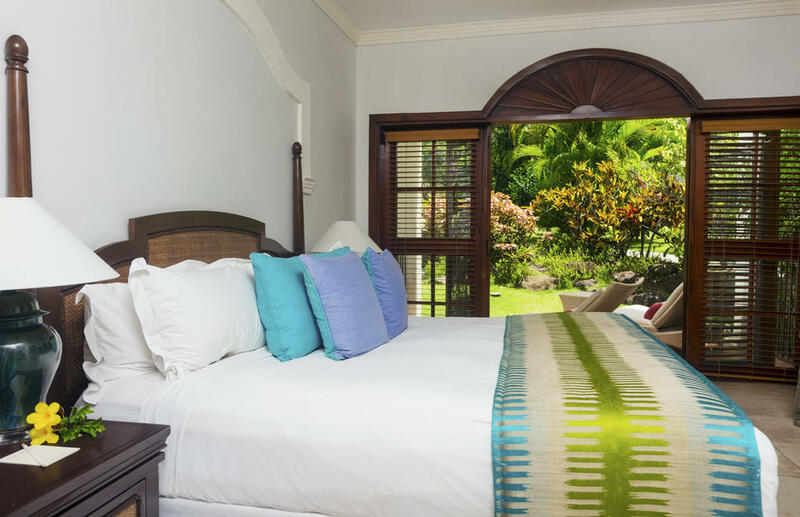 The air-conditioned guest rooms are set within lush tropical gardens and are decorated in a fresh, modern style, they combine 4-star luxury with Caribbean flair. Our featured deluxe rooms are located on the hillside, overlooking the resort and offer free Wifi. Perched high on a bluff above Smugglers Cove beach in the Cap Estate, this elegant resort offers a secluded setting and contemporary luxury. A scattering of terracotta urns, pretty fountains and courtyards complement stylish white-washed buildings but it’s the incredible panoramic views that steal the show. 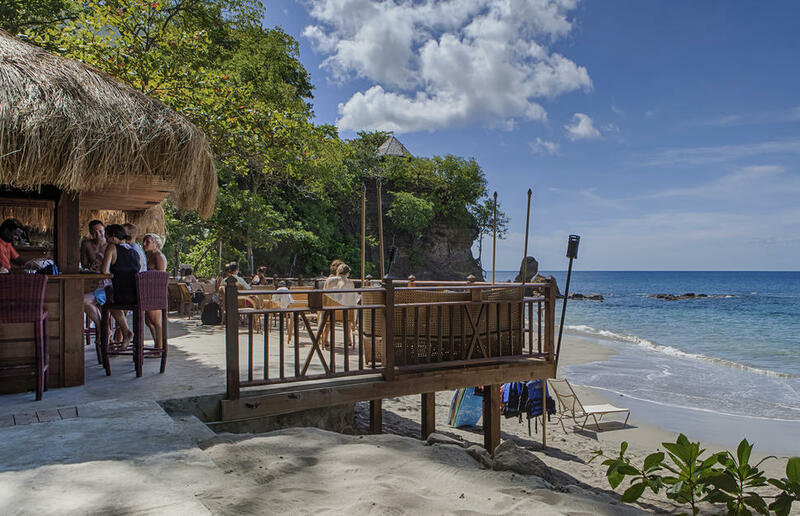 A series of steep steps lead down to secluded Smugglers Cove beach where you’ll find a rustic beach bar serving up lunch time grills, freshly squeezed juices and wonderful rum concoctions. Kayaks, snorkels and Hobie cats are complimentary to guests or you can take some tuition for a fee. You can also relax by the two-tiered ocean-view pool or on the terrace edged by beautiful gardens of frangipani, hibiscus and jasmine. 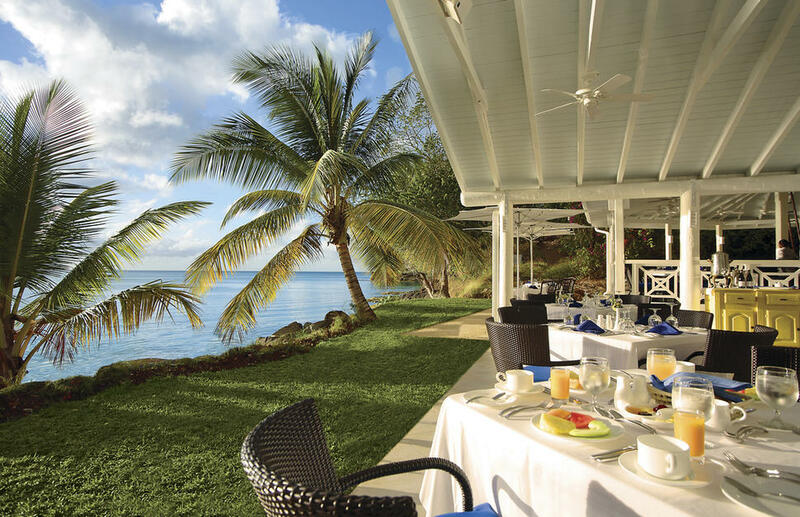 For dining with a view look no further than the award-winning destination restaurant, Cliff at Cap, with an innovative French West Indies fusion menu. It’s strategically placed atop the Cliff with a sunset lookout for happy hour cocktails. Garden View rooms are Intimate with a small sitting area nestled in tropical gardens. with air-conditioning, ceiling fan, flat-screen television, DVD player, Bose iPod docking station, Wi-Fi, minibar, shower, balcony or terrace. 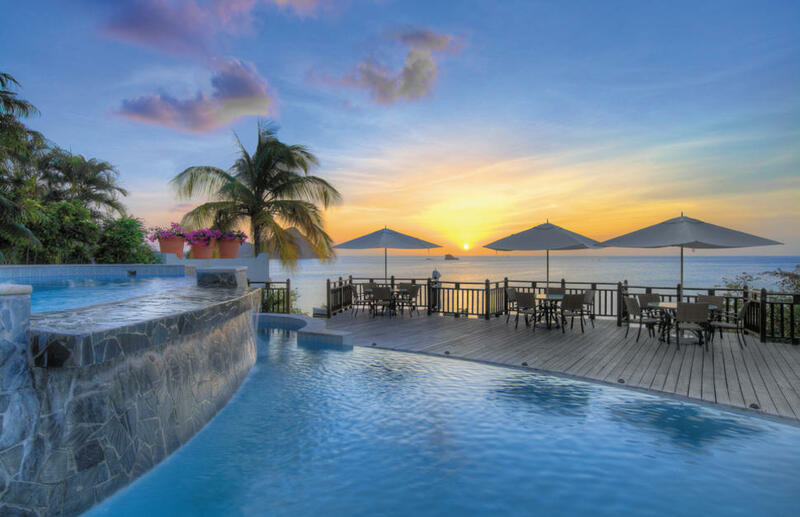 Arrive St Lucia, complete customs and immigration formalities, then proceed to the arrivals hall where you will be met and transferred to your hotel. Enjoy a relaxing day as you acclimatise to your new surroundings. If you are feeling active, our local agent will happily help you with any optional tours you would like to book. Situated northwest of Barbados, this volcanic, picture book island has beautiful weather, lush sandy beaches and a vibrant nightlife. Explore sheltered coves, hike volcanoes and discover the island’s rich history. It’s easy to get around by hire car or tour, so it is easy to create your own adventures and explore St Lucia at your own pace. All social events & excursions, cricket transfers, tour merchandise, travel insurance, pre-seating charges applied by airlines & items of a personal nature.